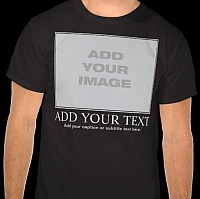 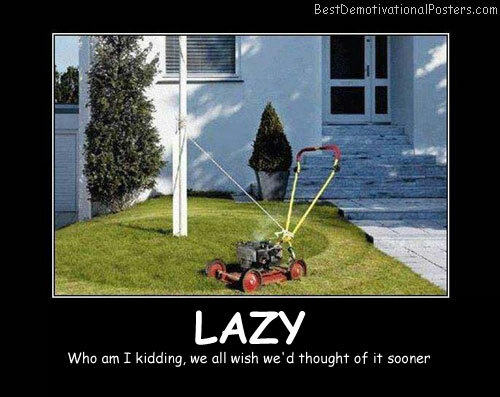 Lazy - Who am I kidding, we all wish we'd thought of it sooner. 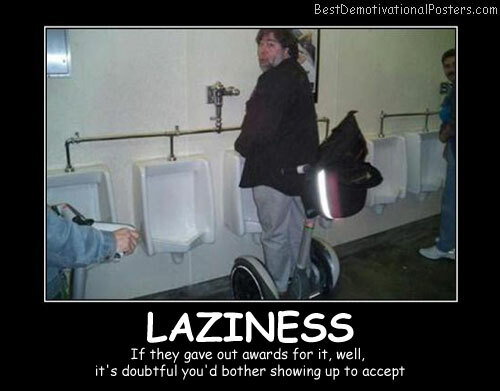 Laziness - When you just can't be bothered to do more than the bare minimum. 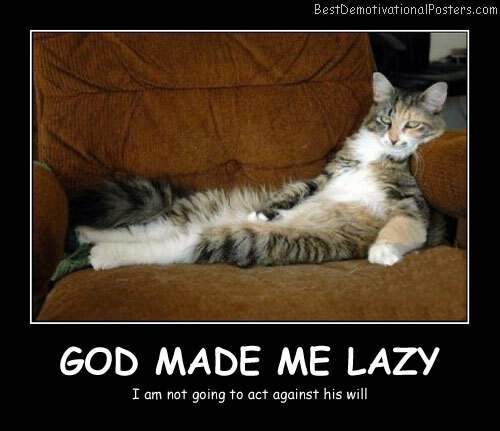 God Made Me Lazy - I am not going to act against his will. 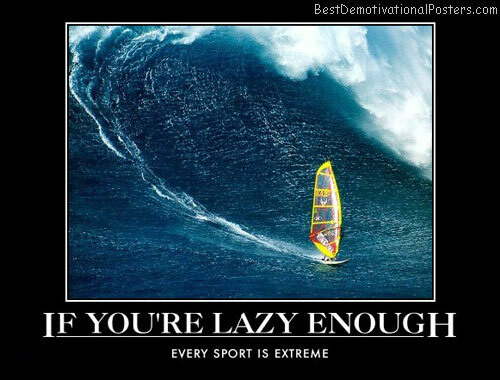 If You're Lazy Enough - Every sport is extreme. 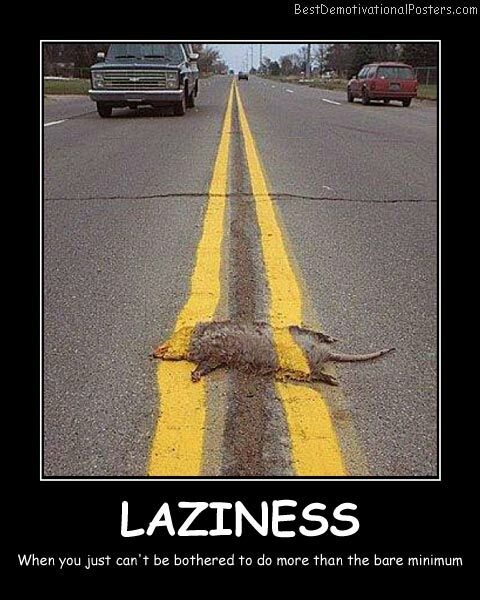 Revenge - Nah, I'm to lazy. 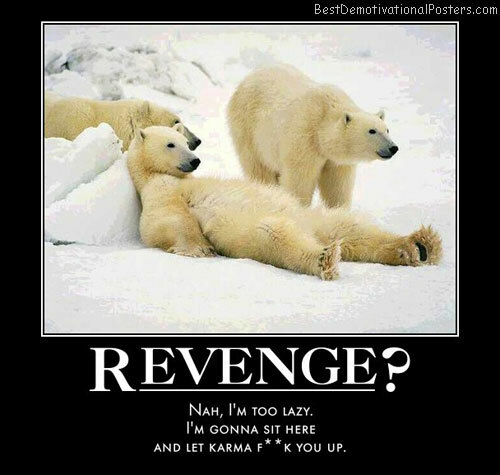 I'm gonna sit here and let karma f**k you up.